The Quinault river originates in the Olympic Mountains and drains out at Taholah. 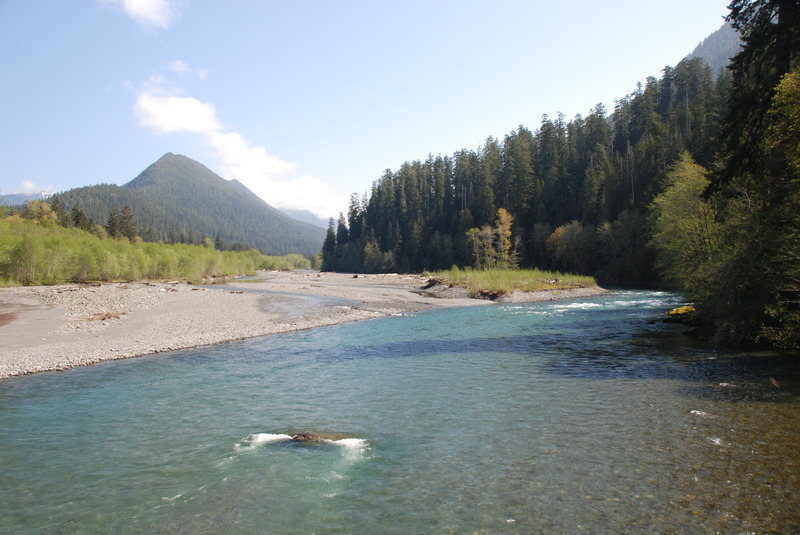 The Quinault runs through areas of the national park as well as the Quinault reservation and offers many access points for anglers to get a good chance at chinook, coho and steelhead. To fish the lower Quinault on tribal lands you’ll need to hire a guide unless you are a tribal member. The upper however is on Olympic National forest lands and does not require a license but Notional Parks fishing regulations must be adhered to. For Quinault river fishing access see map below. Salmon season on the Quinault is usually July through November and Steelhead June through April. This fishery generally allows 6 Salmon per day but only 2 can be adults. Steelhead 2 a day as well. Salmon Eggs, Sand Shrimp and Worms.